Reeve Lindbergh, Two Lives . Voyage Books: Brigantine Media, 2018. This fine collection of fifteen essays reflects upon the double life of Reeve Lindbergh, the youngest child of Charles Lindbergh, whose 1927 solo flight from New York to Paris made him a national hero. The tragic kidnapping of the Lindberghs' first baby brought them celebrity so destructive that they fled the country entirely; for many years after that, they protected the safety of their growing family with repeated moves in the US. The post-war atmosphere in which Reeve grew up was very different from the one in which her parents had become famous. The planes in which they had made their pioneering flights had become technological dinosaurs in an age of commercial flight; the danger of further kidnappings had subsided to the point where the family could settle in one place; and Charles Lindbergh was turning his restless energy from controversial politics to ecology. 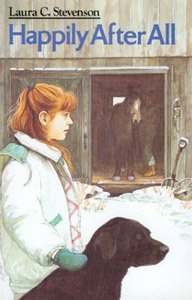 In the late 1960's, Reeve followed the pattern of many others in her generation and moved to Vermont, where she has become a permanent resident. 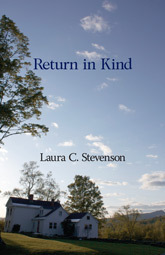 Many of the essays in this collection concern the Northeast Kingdom farm in which she and her writer husband live amidst woods, chickens, sheep, flowers and manuscripts. 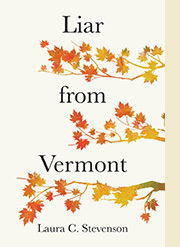 But as her title essay makes clear, her satisfying Vermont routines still parallel what she calls her "Lindbergh life." In public, the celebrity of Anne and Charles Lindbergh tends to overshadow Reeve's own considerable literary achievements. When she gives talks, she says "a little" about her books but "a lot about the lives of [her] late parents." There is no week in which she doesn't receive mail about them – not exclusively but often enough from people still absorbed in conspiracy theories about the "missing Lindbergh baby." She is co-executor of her parents' extensive papers, with results that she describes in "Swimming in the Archives," of which one part concerns her months-long search for a rights contract, and the other briefly discusses her voluminous work on her mother's papers. Much material in her essays concerns her mother, Charles's flying partner in their early days together, and later a well-known author in her own right. In Reeve's Appendix, excerpted from her Lindbergh Lecture on the 90th anniversary of her father's famous flight, she says he "never really did stop flying," while his wife stayed at home and raised the family. A reader waiting for a feminist comment will be disappointed; the celebratory occasion makes it natural to follow the adventurer's career, not his wife's. A telling comment on their marriage, however, appears at the end of the essay "Seeing the Airplanes." Looking back on the childhood she remembers, and from there back further to the careers she knows only at second hand, she agrees with her brother's remark: "They should never have stopped flying." Only five of the fifteen essays printed here directly concern the senior Lindberghs. Amongst the others, there are delightful descriptions of chicken raising, Reeve's amusing reflection on the indignities of aging, a meditation on her husband's love of trees, a memorable description of ducks that return to their ponds every year to raise their young, and serious reflections on birth, death and family to which any reader can relate. The collection is testimony to the grace with which Reeve Lindbergh has come to understand the damage that celebrity inflicted on her parents and the difficult legacy it left their children. With the vision and wisdom of her seventies, she acknowledges the truth she has experienced personally as well as vicariously: "It seems to me now that fame, like disease or war, is the enemy of normal human life."